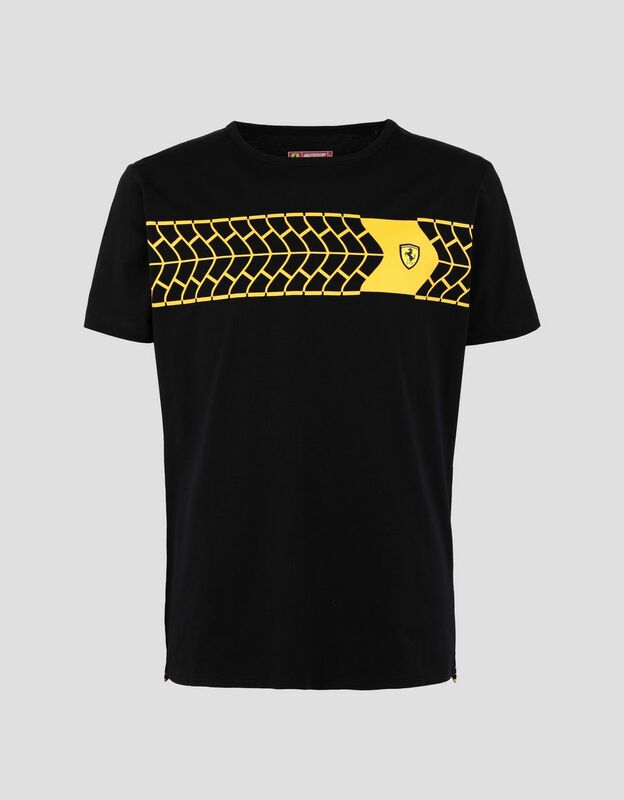 The new Scuderia Ferrari stretch jersey T-shirt stands out for its bold print inspired by tire tracks. 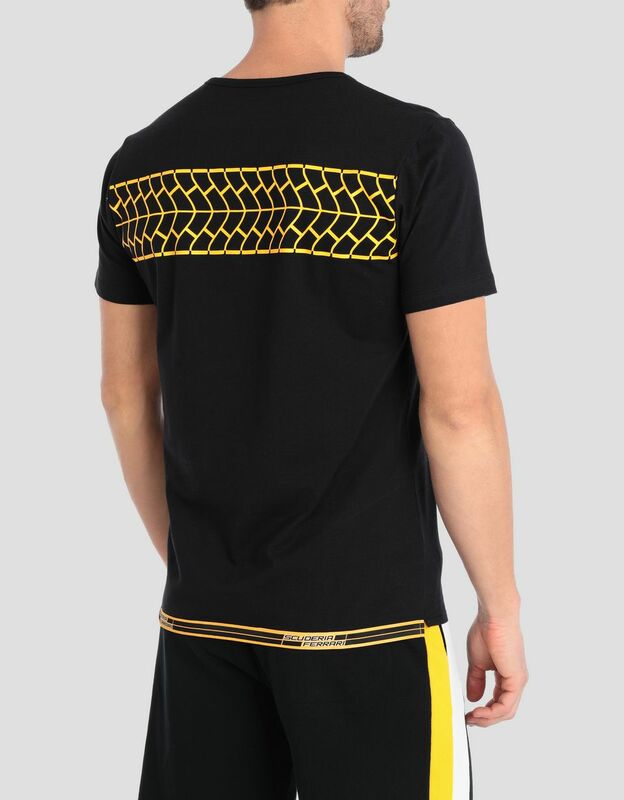 With a bold racing personality, the short-sleeve T-shirt has a unique print inspired by the track in the form of tire tracks on both the front and back. 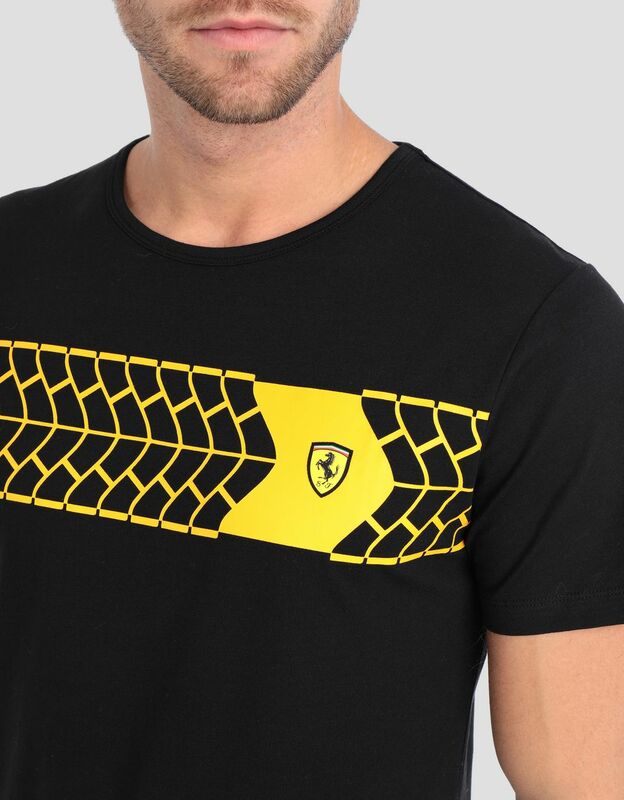 The lower hem on the back is embellished with the unmistakable Scuderia Ferrari Icon Tape, which reflects the colors of the print. 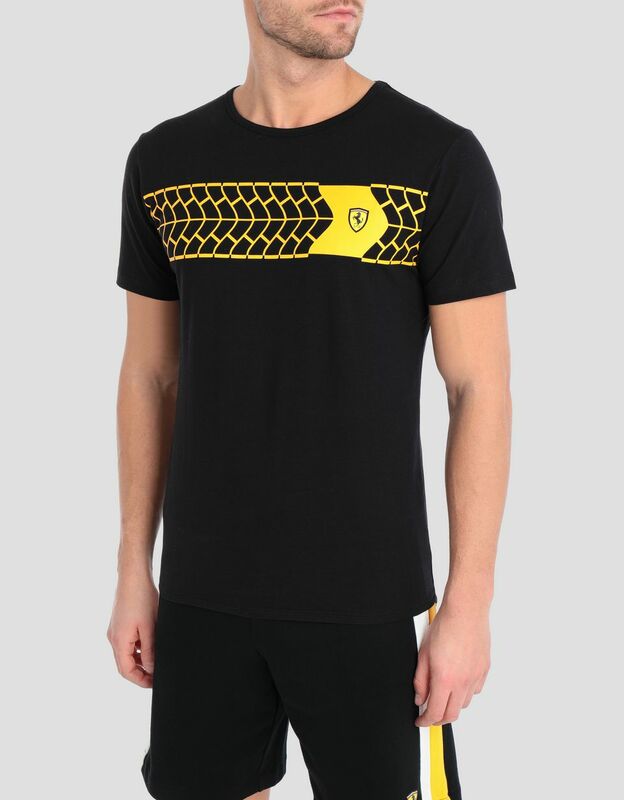 The ever-present Ferrari Shield is on the chest.